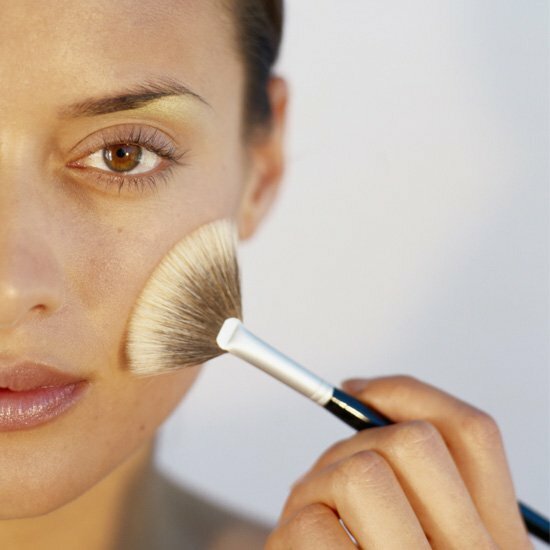 Do you often ask yourself how to apply cream blush effectively? The answer to your question is here. 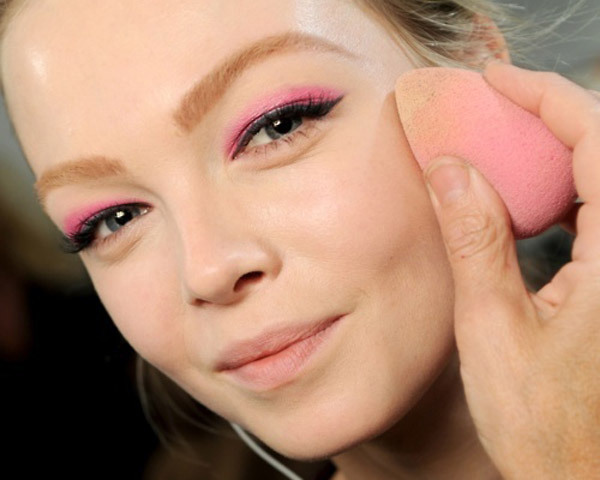 Take a look at 5 effective ways of applying cream blush in a jiffy! Cream blushes are the best way to get a dewy, natural look. Perfect for dry skin, creams will provide a flush of color that powders can’t, and the extra pigmentation means no need to reapply when you spring from the office to happy hour. But a cream blush is like any really good friend – if it doesn’t blend into you seamlessly, it does look strange. But if it melts seamlessly into our skin, the color looks more like a natural, and the flush is more believable compared to powder blushes. Beyond that, cream blush gives your flush staying power. The moist texture gives us a bit of a dewy, luminous glow. It’s great for dry skin. The only trick is to make friends with a cream blush and learn how to apply it. Using your clean two middle fingers, pat your fingers into the blush picking up some of the product. Start small because you can always apply more. 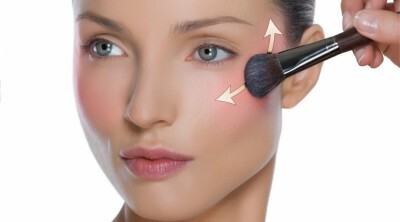 Smile and apply the blush to the apples of the cheeks in a circular movement and blend the color backward. You’re basically making a cone shape with the blush that starts at your temple and ends at your cheek. The warmth of your fingers helps the blush blend into the skin. If you feel you have applied too much color, use a dampened sponge and pat over the top to pick up some of the color until you get your desired color. 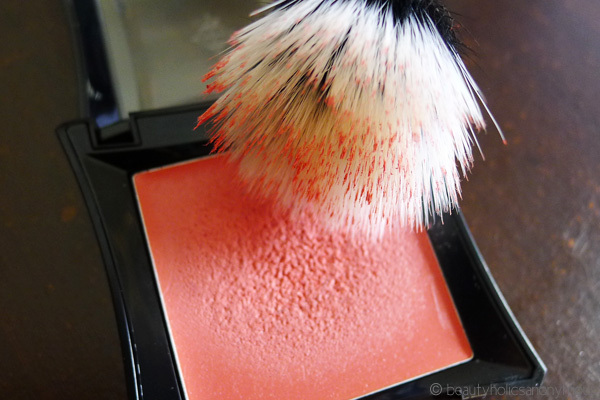 A blush brush is the best bet if you don’t want to be guilty of product overdose. It picks up just the right amount of cream blush needed. A quick dab into your cream blush palette and you’ve got enough to start building up the color. With cream blush, it’s best to start with less and then layer to your desired intensity. You can recognize a stippling brush by the black and white hair—black is natural, and denser while the white is synthetic and floppier. Stippling brushes work amazing for pushing product into your skin for an almost airbrushed effect. The white hairs pick up a minimal amount of product and you, well, stipple it on before pressing a bit harder to buff with the black hairs. But a stippling brush also sheds hair, so you can blow away the strays gently. Most professional makeup artists swear by the fan for cream blush because the thin hairs make for seamless blending. If you want just a sheer touch of blush or bronzer on your cheeks — or you tend to have a heavy hand when it comes to makeup — a fan brush will enable you to create a softer look. Break out that fan brush to blend out harsh lines. Better yet, you’ll get nice coverage without using a lot of products. Instead of going for standard colors out of a box, try mixing up a couple to get a color customized for your skin tone. The color of the season is honeysuckle – a nice warm peachy pink. EXPERT TIP: Follow up your cream blush with a powder blush to set your cheek with color that will last long…really long.